A couple weeks ago I went with the sous chef and nephew to see the play, Knuffle Bunny. If you have never heard of such a book or play, you aren’t the only one. I had no idea what it is prior to going and I am still not sure I know now, weeks after. Anyway, after the play, we stopped at a cafe to pickup some dessert for the little one and lunch for the big one, me. 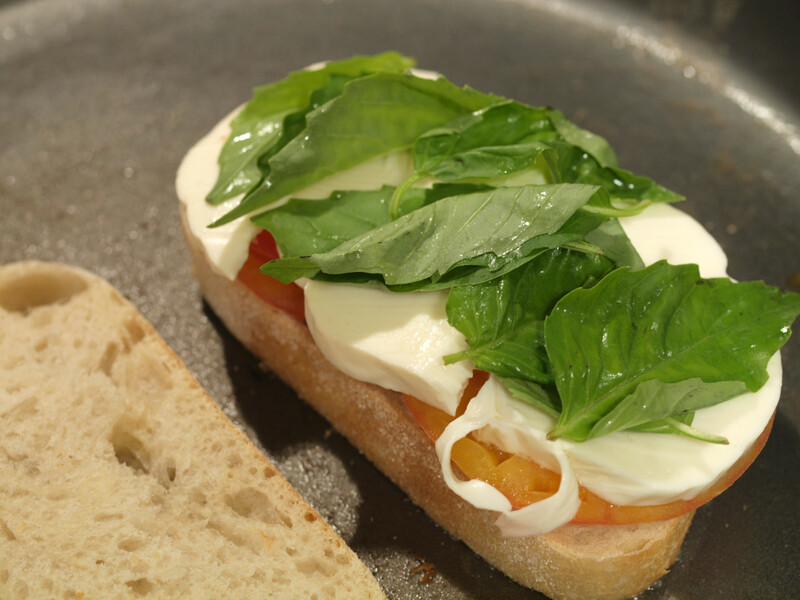 There, I purchased a fresh mozzarella/basil/tomato panini that was absolutely delicious. From that moment on, I decided I would try my hand at that Caprese sandwich for myself, but as a grilled cheese and not a panini. The sandwich had to be delayed by a week because of the quick sale on tilapia, but I was not discouraged. 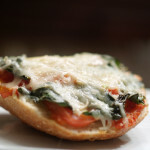 Everyone has tried mozzarella at least once in their life so we all know how good, yummy and versatile it is. However, did you know all this? There is an array of different types of mozzarella cheeses, ranging from mozzarella di bufala (buffalo mozzarella) to mozzarella fior di latte (made from cow’s milk). While these cheeses are all different, they all are spun and then cut in order to be produced properly. This comes from the Italian verb “mozzare” which means, “to cut”. Mozzarella cheese ranges from white to slightly yellow and has high moisture content, which means it usually is consumed in the day it is made and if not, no more than a week after. I did not. But now I do. And so do you. 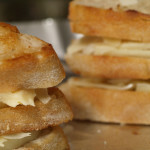 This grilled cheese is so very simple. Three ingredients that combine to make an amazing sandwich. 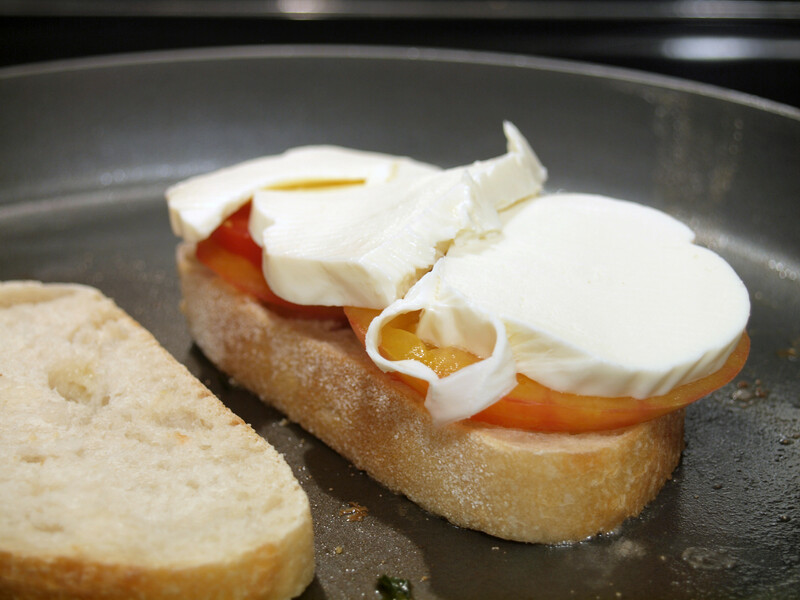 The traditional recipe for a caprese salad, normally calls for regular, vine-ripened tomatoes. That works for me. 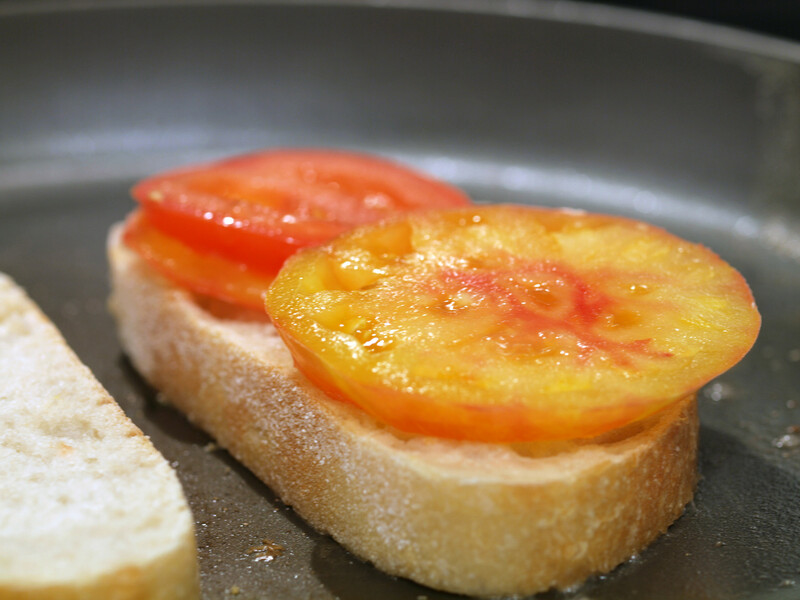 However, when I made my Cream Cheese Grilled Cheese, I used heirloom tomatoes that were delicious and I fell in love with them. 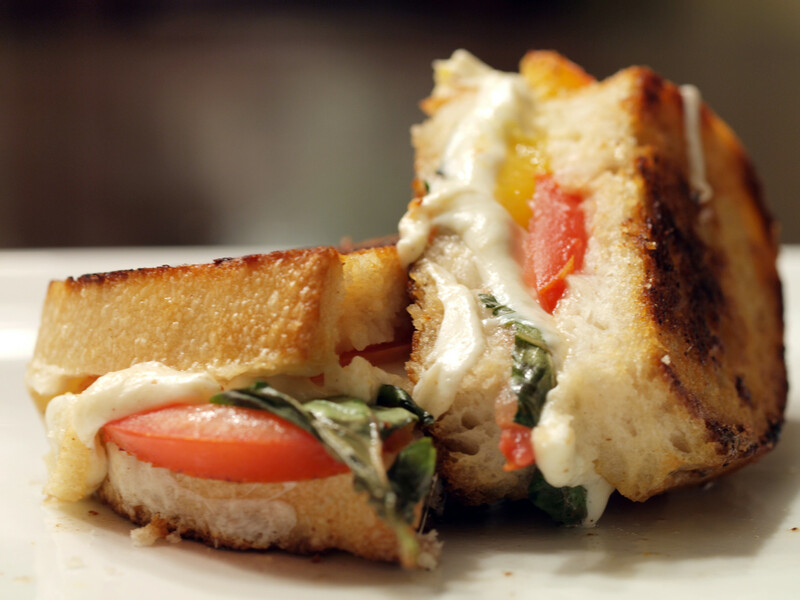 So, for this caprese grilled cheese, I went with a mixture of vine-ripened and heirloom. Unfortunately, I was not as impressed with this particular heirloom tomato as I have been. With that being said, I will not write off the whole variety, even if heirloom could be considered a generic label. Basil. Fresh Basil. For some reason, I just find the smell of fresh basil amazing. When I opened the package of this particular fresh basil and the aroma wafted my way, all I could think was, “Yummmmm….” Fantastic. 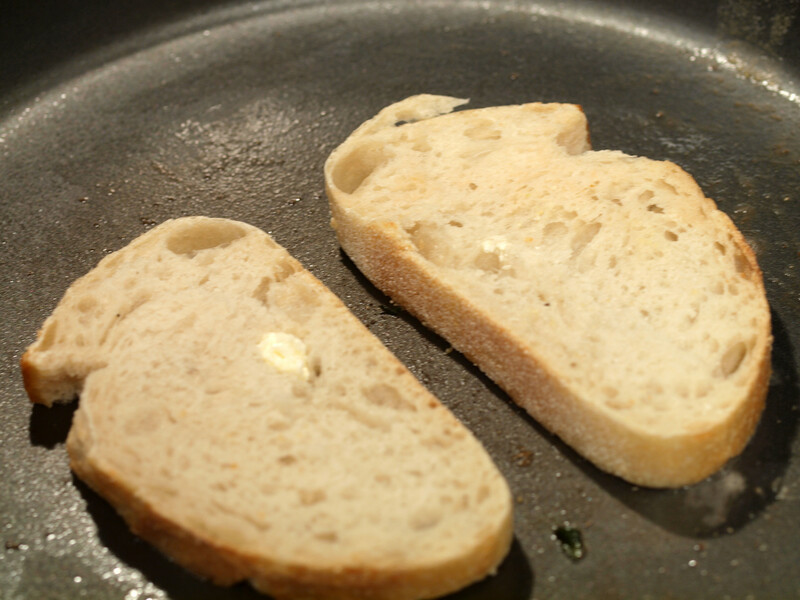 What can you say about sourdough bread other than it is yummy? Crunchy on the outside and soft on the inside. 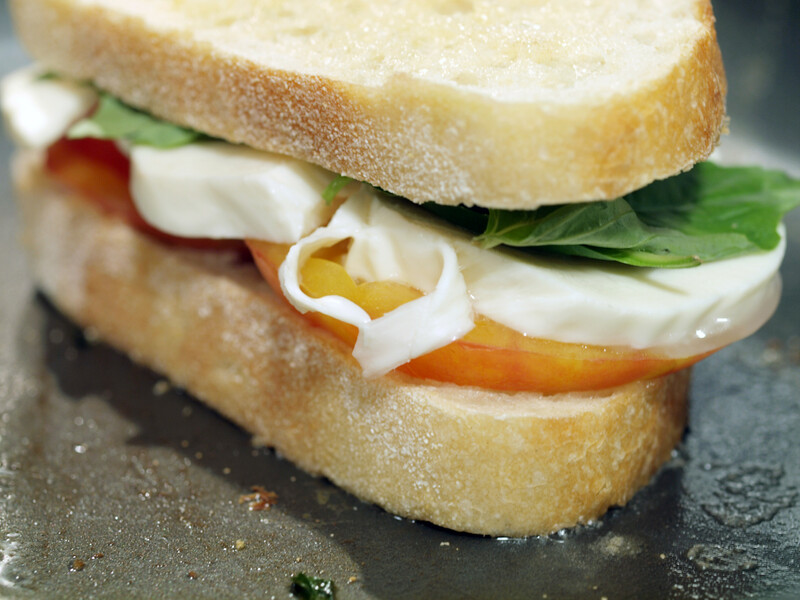 The first half of this caprese grilled cheese had the great ratio of tomato : mozzarella : basil required. 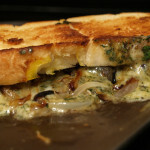 It was fantastic, with the basil adding a great flavor to the entire sandwich. I was hesitant to include too much basil, which caused me problems with the second half. That half was lacking in basil and therefore the caprese grilled cheese itself was missing something. 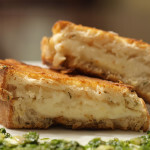 The amount of basil is imperative to make this grilled cheese great as opposed to just good. 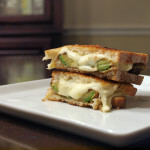 If you get that correct, you will end up making an amazingly simple but very tasty caprese grilled cheese. 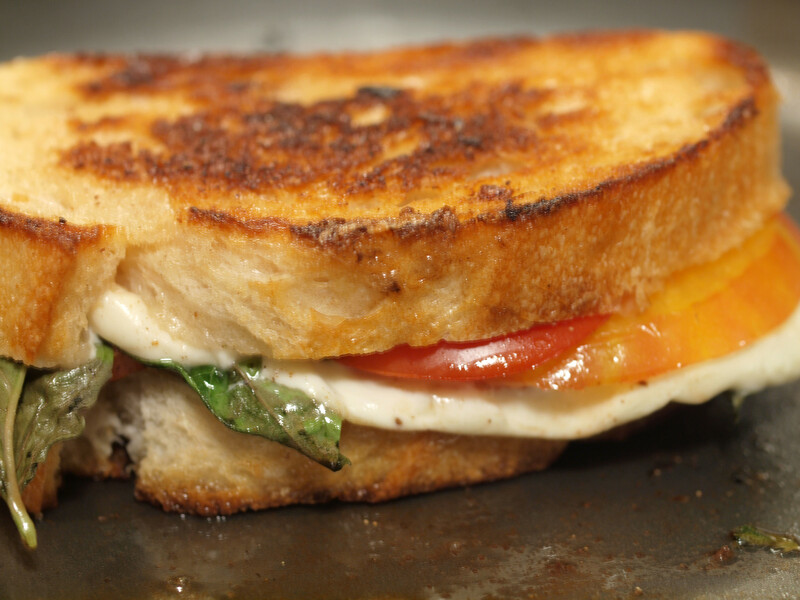 Posted in Grilled Cheese and tagged A, basil, grilled, heirloom tomatoes, melt, mozzarella, sourdough, tomato. Interesting concepts but the way you set up the recipe makes it so convulted that I can’t figure out had to actually make some of them. Perhaps a condensed recipe with specific amounts at the end might be helpful.